Many of us diagnosed with this chronic health condition are told that it is a life sentence of taking thyroid medication every morning for the rest of our lives. We're told that our thyroid gland is broken. 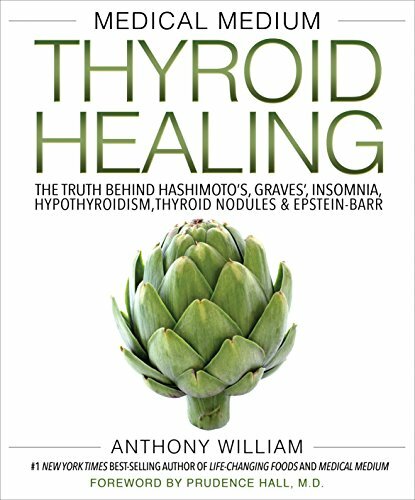 If we've been diagnosed with Hashimoto's Hypothyroidism, we're told our thyroid gland is destroyed and beyond recovery. Our only hope is to swallow a pill every morning. Or is it? I am living proof that you CAN heal your thyroid with natural therapies. In my last post, I talked about supplements I take to support my thyroid health, and today I want to talk to you about the foods I eat to further support my healing. When I was diagnosed with Hashimoto’s hypothyroidism, I was already eating a healthy, vegan diet, but there are a few tweaks that I have made which I feel have really helped me to decrease my thyroid antibodies and get my hormone values back into the normal range. First, I want to talk to you about foods that I avoid as a hypothyroid patient. I stopped eating meat in 2012 for ethical reasons. At the time I was working closely with animals in a veterinary clinic, and this deepened my appreciation for animals as beautiful, sentient creatures with their own desires. Over the years, I’ve learned so much about nutrition, and I made the transition to a 100% vegan diet in 2014. I truly believe that this is the ideal way to eat if you want to be healthy, especially if you’re living with hypothyroidism. Eating animal products, including eggs and dairy, is problematic for the human body for many reasons. Because these products are taken from living, breathing animals that have their own endocrine systems, these products contain hormones that when we consume them, disrupt our bodies natural production of our own hormones. If you are living with Hashimoto’s hypothyroidism, you’ll definitely want to give up dairy at the very least because dairy is a highly inflammatory food that can aggravate the body’s autoimmune response even further. Another food that I’ve eliminated from my diet is gluten. This is another food that can aggravate the body’s autoimmune activity. Because I have Hashimoto’s, my doctor advised me to avoid gluten 100%. Even a little bit of gluten every once in awhile is enough to cause problems. Unfortunately it isn’t an “everything in moderation” kind of deal. Not gonna lie, I hate being gluten free. I miss regular bread so much. So. Much. But it is worth it to know that my body is no longer destroying my thyroid gland! So now I’m sure you’re like okay, Rachel, what the hell am I supposed to eat then? There is so much you can eat on this lifestyle! For real! I feel like I actually have more variety in my diet as a vegan. You can enjoy an abundance of fruit and vegetables. Literally as much as you want. Whole grains like rice, corn, quinoa. Legumes. Nuts and seeds. 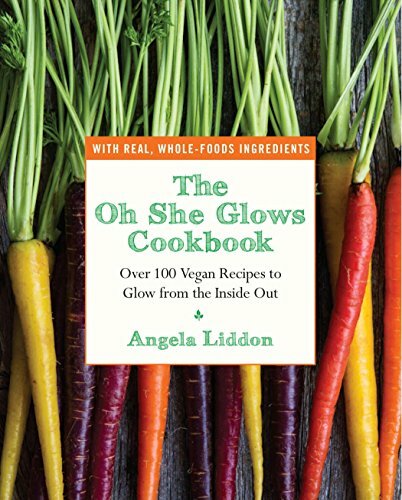 Learning to use spices and create tasty vegan sauces will also help to add flavor and excitement to your meals. Literally any food that you enjoy, there is a vegan version of it. Some of my favorite meals to eat are vegan chili mac, cheese-less pizza, pasta with vegan meat balls, red lentil curry....and I could keep going. I really love food. I’ve also started incorporating more healthy fats into my diet in the form of nuts and seeds. Hemp seeds, pumpkin seeds, Brazil nuts, chia seeds, walnuts, flax seeds, all of these provide vital nutrients like zinc, selenium, omega 3’s and omega 6’s. These nutrients are necessary for many reasons, and they help the body to synthesize thyroid hormones. Getting enough healthy fats is especially important for women. Our bodies need enough fat to be able to create hormones. This is why women who don’t have enough fat on their bodies will oftentimes lose their periods. So don’t be afraid of eating fats. As long as they are healthy fats from whole foods, you’re good. As you transition to a more whole-foods diet, try not to think of it as sacrifice or deprivation. This is a gift you are giving to yourself, a gift you are giving to your body. You deserve to live a vibrant and healthy life, and I know you are strong enough to do what it takes to get yourself there. Remember that everyone has unique dietary needs. Some people may need more protein while others need more fats or carbohydrates. Some of us may have food allergies, absorption issues or nutrient deficiencies that also need to be addressed. Give yourself space to experiment and find what feels right for you and your body. Consider talking to a nutritionist who is familiar with the vegan diet. This post contains affiliate links. I am a member of the Amazon.com affiliate program. This means I earn a small commission when you make a purchase at no additional cost to you. I only recommend products that I love and use myself. I was diagnosed with Hashimoto’s Hypothyroidism in February 2017. Hashimoto’s is the autoimmune form of hypothyroidism. This means that the body produces a large amount of antibodies that are attacking the thyroid gland and damaging the tissue so that the gland is unable to produce the hormones that it is supposed to produce. After my diagnosis, my doctor started me on medication. There are many different kinds of thyroid medication out there. The one she had me on was a natural desiccated thyroid hormone derived from the thyroid gland of pigs. She thought it would be a good option for me because it contains a good balance of T4 and T3 thyroid hormones. Unfortunately my body did not respond well to the medication. I felt so fatigued I could hardly move, but the most concerning side effect I experienced was severe depression and suicidal thoughts. She had me discontinue the medication immediately, and these feelings went away. I tend to react badly to pharmaceutical drugs. It’s rare for me to find medications that don’t cause side effects for me. My body is just sensitive, and I’ve learned over the years that it prefers the more gentle touch of naturopathic medicine. After my frightening experience with the thyroid medication, my doctor and I decided to see how I responded to a naturopathic approach. I am thrilled to be able to say now that our naturopathic protocol has been working! In this time, my TSH, T4, and T3 have all come back into the normal range. AND my thyroid antibodies have decreased! This approach to thyroid healing has involved several components, which I will be covering in a series of posts. Today I’m going to talk to you about all the supplements and herbs I take to keep my thyroid healthy. In the upcoming posts, we will be talking about dietary changes and energetic healing, so stay tuned for those. Please keep in mind, I am only sharing my experience with the supplements I'll be mentioning here. I am sharing this information simply because I want people to know that there are alternatives to mainstream thyroid treatment, as I’m sure there are others like me who have not responded well to thyroid medication. Please talk to your doctor about the right treatment plan for you. We are all unique, and I am in no way saying that taking medication is a bad choice. It just wasn’t the right choice for me personally. 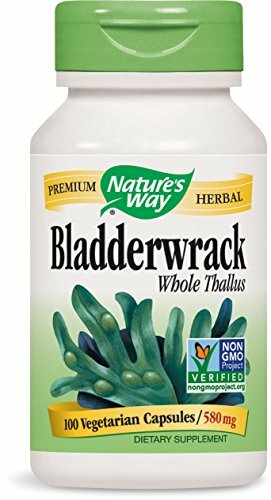 When I wake up in the morning, the first supplement I take for my thyroid is an herb called Bladderwrack. This is a sea vegetable that contains the nutrient iodine, which is a critical nutrient for thyroid hormone production. You can get iodine from other sea vegetables as well, but I choose to use this one because it comes in a convenient capsule, and I can make sure that I am getting the right amount of iodine. Too much can be just as bad as too little, so you’ll want to talk to your doctor about the dosage that’s right for you. 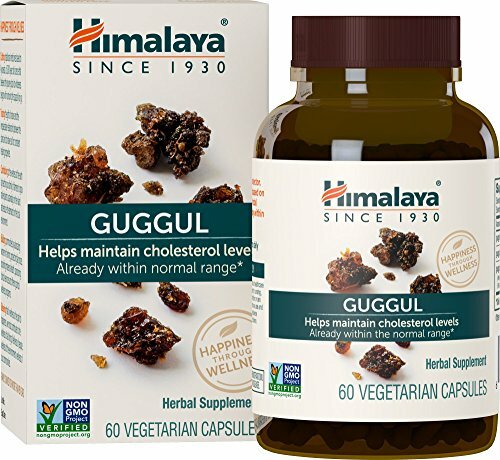 I also take an herb called Guggul. This herb has several benefits, but I take it to support healthy thyroid function. It also helps to increase metabolism, maintain healthy weight and promote healthy cholesterol levels. My doctor recommended this herb in particular because it is one that has actually been well researched and has been shown to have good outcomes for the thyroid. 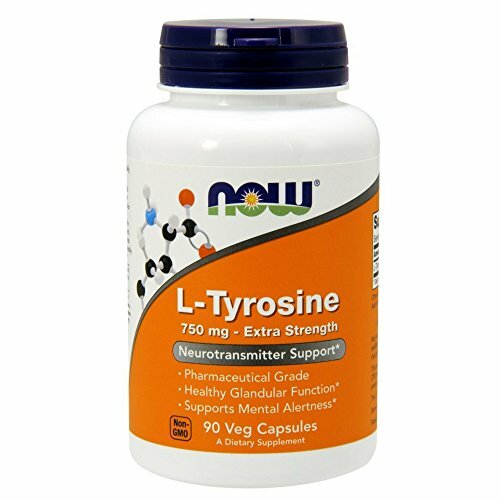 I also take an amino acid called L-tyrosine. This amino acid is one of the building blocks for thyroid hormones. While you can get this amino acid from your diet, it doesn't hurt to take a supplement so that you're guaranteed to get enough. Making sure you are getting adequate vitamins and minerals is crucial for thyroid patients. 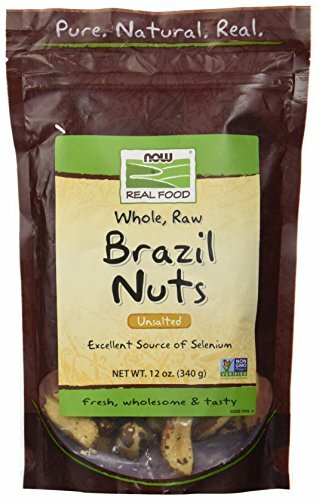 One of the most important nutrients is selenium, and I make sure I get enough of this one by eating Brazil nuts each day. You’ll also want to make sure you’re getting plenty of B12 and vitamin D since thyroid patients (and really anyone who lives in modern society) are often deficient in these nutrients. It's so important to follow up with your doctor after a new treatment plan is implemented. Throughout your thyroid journey, you’ll want to make sure to have your bloodwork checked regularly to make sure your treatment plan is getting you the results you desire. My doctor has me get my TSH, Free T4, Free T3 and thyroid antibodies checked every six months now. So far, so good!